The VE MY10 Holden Commodore is a mide life upgrade of the 2006 VE, characterised by mechanical improvements rather than cosmetic changes. The model was replaced by the VE Series II Commodore range in September 2010. HSV released the E Series 2 models in September 2009, based on the VE MY10 upgrade. * As at introduction of VE MY10 model, September 2009. 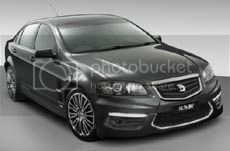 Images from Holden, Holden Special Vehicles, or Drive.com.au unless otherwise specified.